Now that you’ve got your trip planned and out and bought a suitable backpack, it’s time to figure out what you’ll be packing. Your gear consists of your shelter, sleeping bag, clothes, food, water and other essentials. 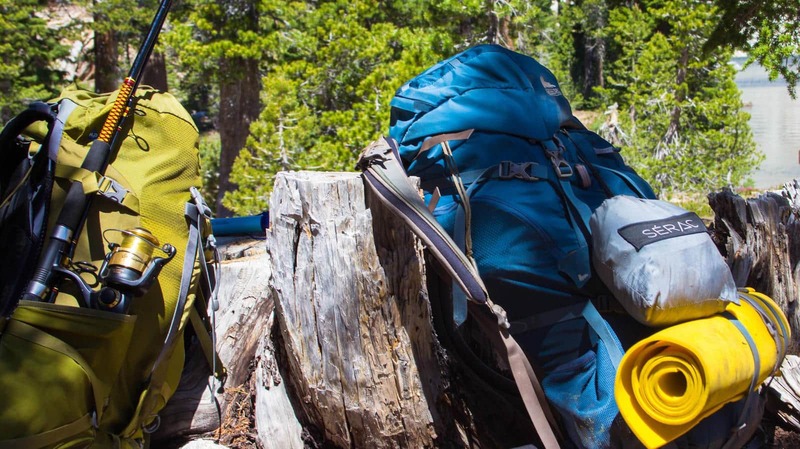 Good backpacking gear will last you a long time. Invest in good gear and you’ll be using it for years to come. 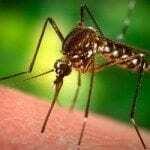 When backpacking with a hammock, a shelter and mosquito net may be required to create a complete shelter. While many people still use a tent when doing overnight hikes, using a camping hammock with a rainfly offers numerous advantages over a tent. A camping hammock is more comfortable, lighter and lower impact than packing a tent. However, a hammock works best if there are trees to hang from, so keep if you are planning a desert trip or somewhere above treeline the entire time, you may want to bring a tent instead. There are many different camping hammocks to choose from, each offering their own advantages and disadvantages. The most popular option is a parachute hammock due to the versatility and ease of use. When camping, these hammocks can be used in conjunction with a rainfly and bug net to achieve a complete shelter that is more comfortable than sleeping in a tent. 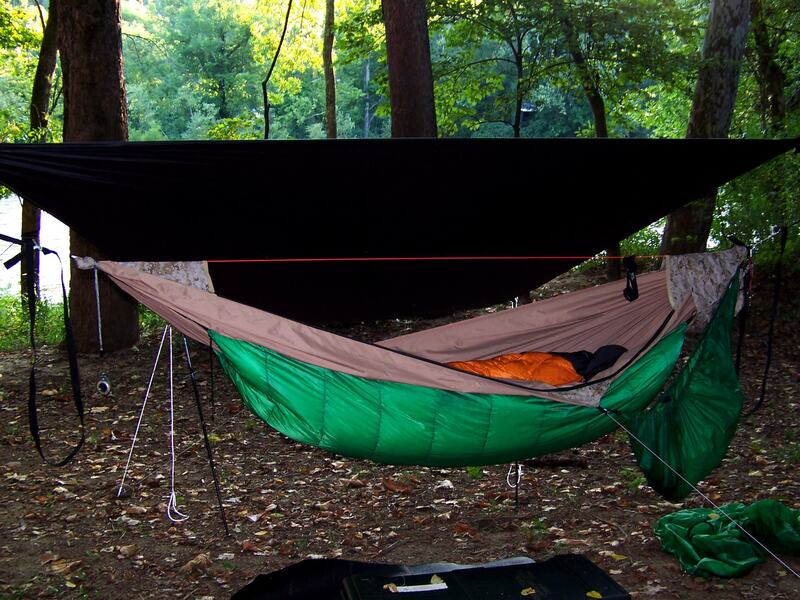 When choosing a tarp for your hammock, you should take into consideration the size, shape and material of the tarp. In general you want your tarp to be at least a foot longer than the camping hammock each end. This will ensure that your hammock will not be hit by any rain. A diamond shaped rainfly provides the least amount of cover, but uses less material and will weigh less than a hexagonal or rainfly. Tarp material is also important to consider when choosing the right shelter. A cheap blue polyethylene tarp you can buy at the hardware store will do well to keep the elements off of you, but it is heavy and difficult to pack. Silnylon rainflies are lightweight, waterproof and designed for backpackers, but expensive to purchase. 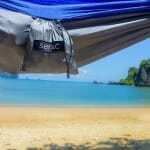 With the right tarp, you can confidently go backpacking in your hammock even in the worst weather conditions. Having proper insulation makes all the difference between a night spent shivering and a comfortable relaxing sleep. When backpacking with a hammock, a traditional sleeping bag and sleeping pad will work just as well as if they were placed in a tent. 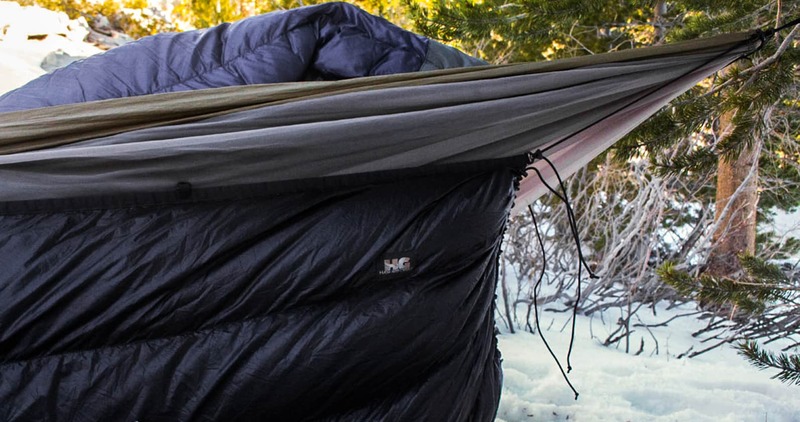 Because of the breathability of the camping hammock, The sleeping pad is necessary to insulate the bottom, while the sleeping bag insulates the top. However, for many hammockers, having an underquilt and topquilt is a much more comfortable choice. A topquilt-underquilt combo can be much warmer and allows for unrestricted movement in the backpacking hammock. The downside of underquilts is that they are much more expensive than a sleeping pad. Having two quilts is also much bulkier and can take up considerable space in your pack (especially if you are using a synthetic material instead of down). If you are reluctant to purchase an underquilt specifically for hammock camping, there are a few tricks you can use to stay warm without one. Layers, layers, layers. When packing for a backpacking trip it’s important to bring multiple layers of clothing so you can quickly adjust to the elements. For your base layer, pack underwear, long johns and shirts made of a moisture-wicking fabric such as polyester or wool. This will keep you cool and dry even after a day of sweating. Hiking pants are comfortable and versatile in a wide range of temperatures. Convertibles pants can be transformed into shorts by unzipping the bottom part of the pant legs. Get proper hiking boots or shoes for backpacking. Tennis shoes and running shoes are often seen on the trail, but they are too flexible for the rough terrain and cause ankle injuries when hiking with a heavy pack. A pair of flip flops or down booties are a nice luxury to use at camp if you don’t mind the extra weight. For socks, avoid cotton socks. They will stay sweaty for days and it’s an easy to way get blisters and smelly feet. Bring wool or synthetic hiking socks instead and keep your feet happy. Depending on the season, you will want to bring more or less outerwear. In the chilly months, a fleece along with a down jacket or vest will help keep you warm after the sun sets. Even during the summertime, having an insulating layer will be essential – it can get much colder than you think! A rain jacket should be packed even if you aren’t expecting rain. At the very least it can act as a windbreaker or stop bugs from biting you at camp. Backpacking for multiple days consumes a lot of energy. After a full day of trekking, you will want something nutritious but also tasty to look forward to. If you want a hot meal, you’ll want a suitable camping stove. The most common stoves are gas burners that screw into fuel canisters. These are easy to use, portable and generally function well. However fuel canisters cannot be refilled, are expensive to buy and the isobutane-propane mix will take longer to boil water in cold temperatures. 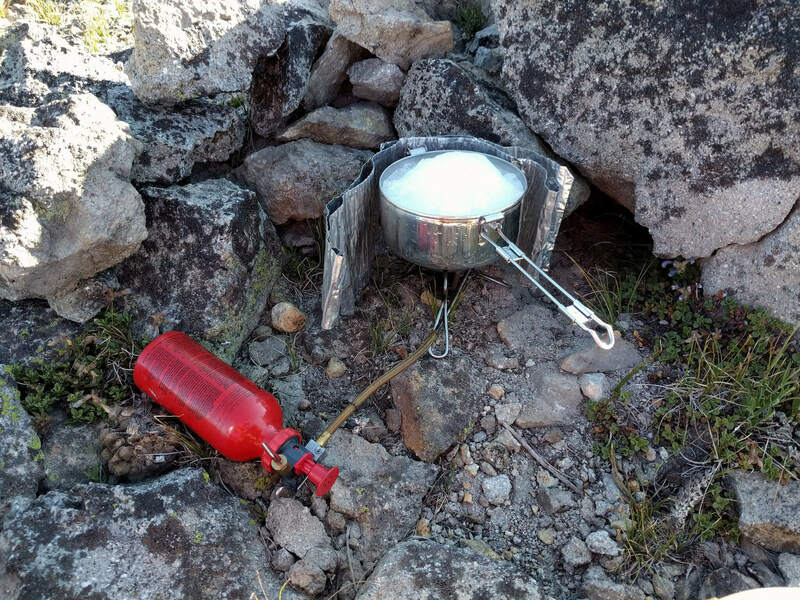 Liquid-fuel stoves are often preferred by more advanced backpackers. Unlike canister stoves, they perform great in cold weather, can be easily refilled with cheap fuel and is less prone to tipping over. These stoves are often more expensive and aren’t as simple to operate. While most liquid-fuel stoves run on white gas, some can use many sources of fuel including gasoline, kerosene, diesel and jet fuel. These cost more, but are valued for their incredible versatility. If you don’t want to burn gas, there are other alternative-fuel stoves available that burn wood (biomass), alcohol or solid fuel tablets. Foregoing the need to carry heavy containers of gas, these alternative-fuel stoves are popular amongst ultralight enthusiasts. For the cookware itself, you can choose from a wide range of pots, skillets and kettles. When backpacking, ideally pick a pot that will fit your stove and has a capacity of at least 1.5L. The more water you can boil at a time, the more efficient your fuel usage will be. If you’re eating dehydrated meals, you can eat straight out of the pouch with sporks. Otherwise you can purchase lightweight bowls for your meals or just eat out of your pot. Biodegradable soap is available for doing the dishes after cooking up a feast. The no-brainer option for dinner is to bring prepackaged freeze-dried food. These instant meals come in a variety of flavors, taste good and require only boiling water to cook. They can also be cooked and eaten directly in the pouch so there is no need to wash your dishes. Other “instant” meals such as ramen, macaroni and cheese and rice are also popular (and cheaper) options. In the morning, instant oatmeal is a great choice for a hearty breakfast before a day of hiking. 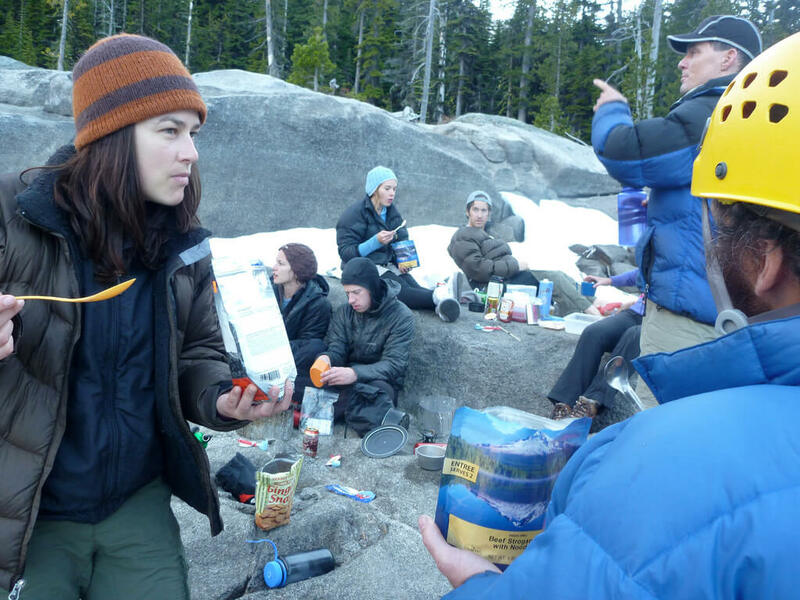 Snacks can be eaten throughout the day and saves you the hassle of cooking while you hike. Trail mix, jerky, dried fruit, cheese and energy bars are all good for eating on the go. The amount of food you bring will largely be determined by the length of your trip. In general aim for 3000 calories worth of food per day along with an extra day’s worth of food. When you’re out in the wilderness, never leave your food unattended. Squirrels and mice are very good at biting through your pack or stealing whatever tasty morsels they can find. Carry a food canister to keep your edibles away from any woodland critters. 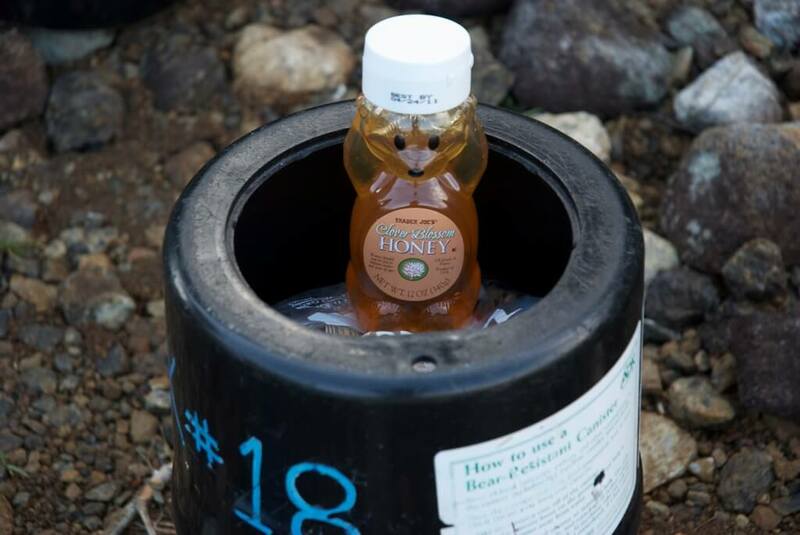 If you’re hiking in bear country, make sure you have a bear proof canister with you. Not only is this for your safety, but it will also ensure that bears do not associate human campsites with food in the future. While backpacking is a safe and incredibly rewarding experience, you should make safety your priority. Always have a first aid kit and be familiar with basic first aid procedures in case you sustain a minor injury. Beginner backpackers are highly encouraged to hike with a buddy so that they can assist in case of trouble. Before you head out, always leave an itinerary with a friend back home. They will know where you are and can notify rangers if you don’t return by the appointed time. Be properly prepared before you go. Practice setting up your shelter and lighting your stove so that there are no surprises when you’re in the woods. Call ahead to the ranger station and get up to date trail conditions and any temporary restrictions. Do not count on having cell phone service if you are out in the wilderness. Cell towers are usually located near visitor centers if they are present at all. Even the most popular trails will rarely have cell reception. If you have the money, an expensive satellite phone will work in the backcountry. Personal locator beacons are also available for sending distress signals in case of an emergency. If you get lost, remember the acronym S-T-O-P. Stop, Think, Observe, Plan. Stop: If you feel like you’ve gotten lost, don’t panic. Simply stop going any farther. Take a deep breath, drink some water and snack on some food. Taking a small break will often clear your mind and help you better assess the situation. This rule changes if you feel the area is unsafe or someone requires medical attention. Think: Think back and try to remember where you were last certain of your location. How long ago was it? Can you backtrack and find your way back to that point? Do you see any landmarks or signs of human activity? Observe: Remain calm and carefully assess your surroundings. Think about all the distinct features that you passed by on your way to this point. Can any of them be used as landmarks to bring you back to where you were last confident in your position? If so, carefully head to that spot. If you are not sure, remain where you are. If you are truly lost, it will be easier for rescuers to find you if you stay put. Plan: Talk with your hiking buddies and formulate a plan of action. If the plan makes sense, execute the plan. As the situation changes, if you continue to feel uncomfortable, use “STOP” again to raise your chances of finding your way back to the trail. When you enjoy a weekend out in the outdoors, make sure you follow proper wilderness ethics. Respect the land you are traveling on and ensure that you do not damage anything. Keep the wild places wild and do not feed any of the animals. Pack out everything that you pack in, including all your garbage even if you think it’s something that might decompose (apple cores, orange peels, etc). When nature calls and you have to take care of some “business”, make sure you dispose of the waste properly. There are only two real options when you need to take a poop: bury the deed or pack it out. When looking for a place to do the deed, stay at least 200 feet away from your camp, cooking area and any sources of water. Use a lightweight backpacking shovel to dig a hole around 6 inches deep. Squat and aim for the hole. If you elect for a natural method of cleaning, moss makes a great toilet paper that you can bury with everything else. Otherwise pack out any used toilet paper. For more info, check out How to S**t in the Woods by Kathleen Meyer for a detailed discussion on how to take care of all your bathroom affairs in the wilderness. Understand that the backcountry is a living, breathing ecosystem that is wild and unpredictable. Self-reliance and adapting to this environment is vital. Practice Leave No Trace and leave the wilderness a better place than when you found it. This entry was posted in Camping, General, How to, Informational. Bookmark the permalink.